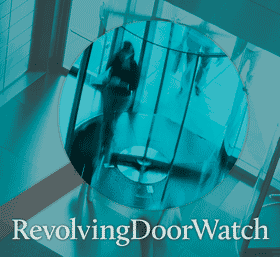 Corporate capture, or corporate takeover, occurs when a policy issue, agenda or new legislation is influenced in the extreme, often from the beginning and on an ongoing basis, by corporate interests. 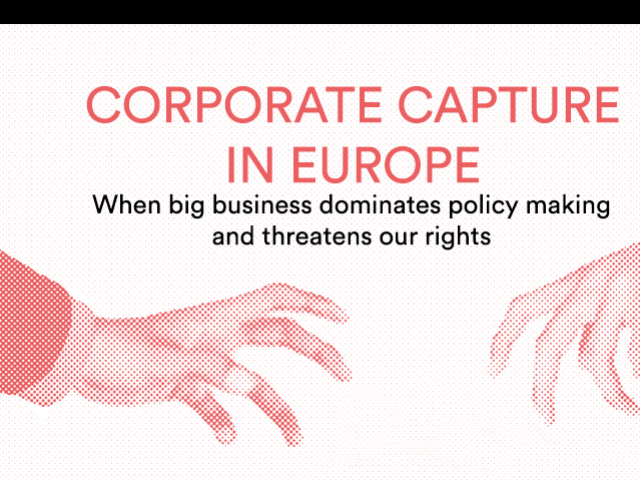 Corporate capture is extreme influence and while it does not happen on all EU policies and laws, the risk of corporate capture at the EU level can be high. The threat of corporate capture comes from the tactics which corporate lobbyists and business elites rely on to promote their agenda. These include: proffering corporate-dominated ‘advice’ or ‘expertise’ throughout the policy-making process; the smooth movement of staff, via the revolving door, to and from public institutions and big business; the privileged access of business interests to top decision-makers and officials responsible for handling key dossiers; the informal links which exist between political and corporate elites, including being members of the same political party; the setting-up of front groups; the funding of apparently ‘independent’ research; and many other tools and tactics which can all contribute to corporate capture. There is also a significant risk of corporate capture occuring at the national level too and it is vital that civil society works together to lower the risk and combat it. Overhaul of how advice and expertise is provided during the policy-making process, to minimise the risk that those with a financial stake in an issue are dominant. 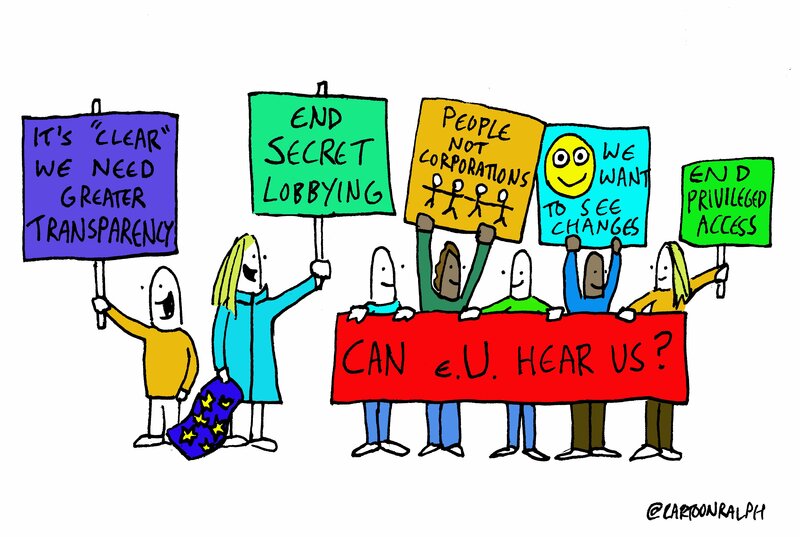 Excessive corporate influence over policy-making remains a serious threat to the public interest across Europe and at the EU level, warns a new report published today by the Alliance for Lobbying Transparency and Ethics Regulation in the EU (ALTER-EU). "Corporate capture in Europe" examines the extreme and undue influence of big business on European Union (EU) and member state decision-making processes. "Corporate capture in Europe" examines the extreme and undue influence of big business on European Union (EU) and member state decision-making processes. It has been produced by the Alliance for Lobbying Transparency and Ethics Regulation (ALTER-EU) as a response to the distortions we witness in policy and law making at EU-level and across a member states. Today carefully selected politicians and members of the business community will follow Commissioner Oettinger's invitation to Austria's beautiful Alps for the seventh edition of his 'Mini-Davos' meeting, the Europaforum Lech. A prime example of business' privileged access. Here comes again the EU Industry Day, a two-day event where business representatives are invited to mingle with EU high level officials to discuss Juncker’s strategic approach to industrial policy. If it's autumn in Brussels, it must be time for the annual gathering of commissioners and Big Business organised by BusinessEurope! ALTER-EU writes to President Juncker to inquire about commitment to ensure balance and representativeness in stakeholder meetings. Following our launch of the ALTER-EU football cards revealing the Juncker Commissioners with the worst levels of corporate bias in terms of their lobby meetings, we have presented the week's social media activity in this Storify story. Last Tuesday the European Commission hosted what it called the first #EUIndustryDay ever. But at ALTER-EU we see it as part of the excessive intimacy between the Commission and big business, which make every day at the Commission #EUIndustryDay.